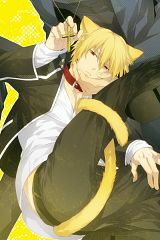 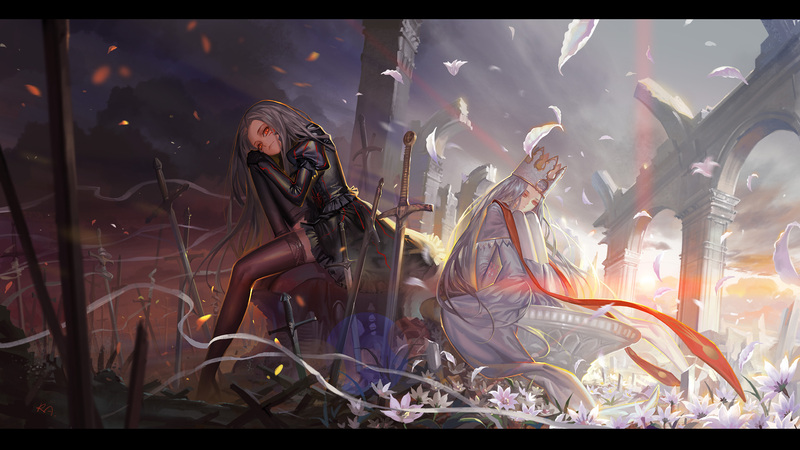 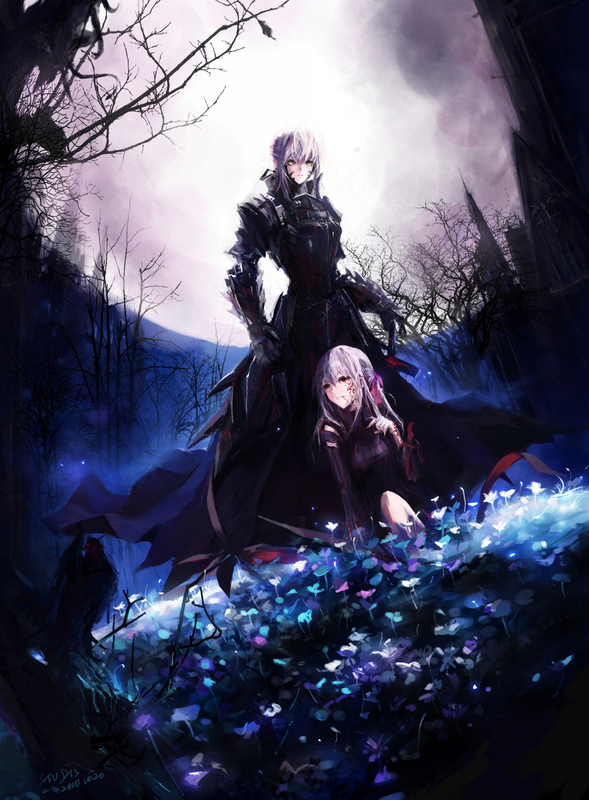 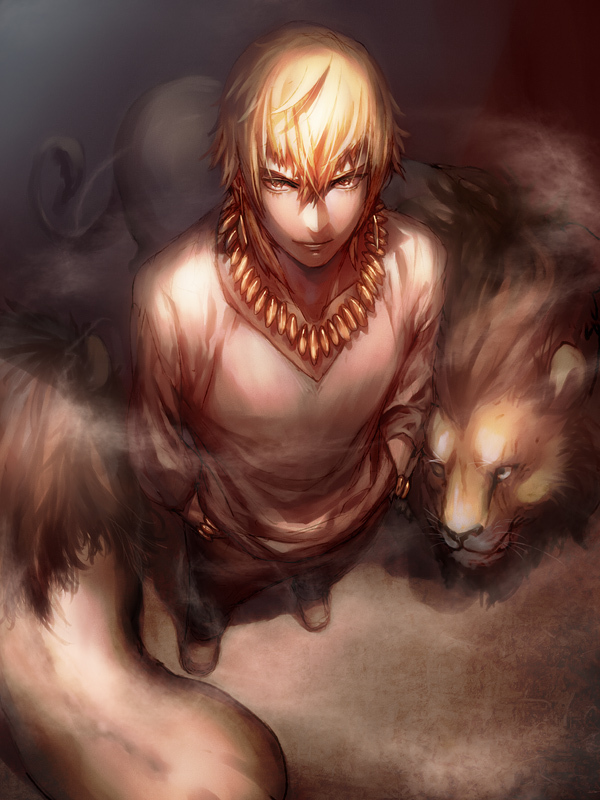 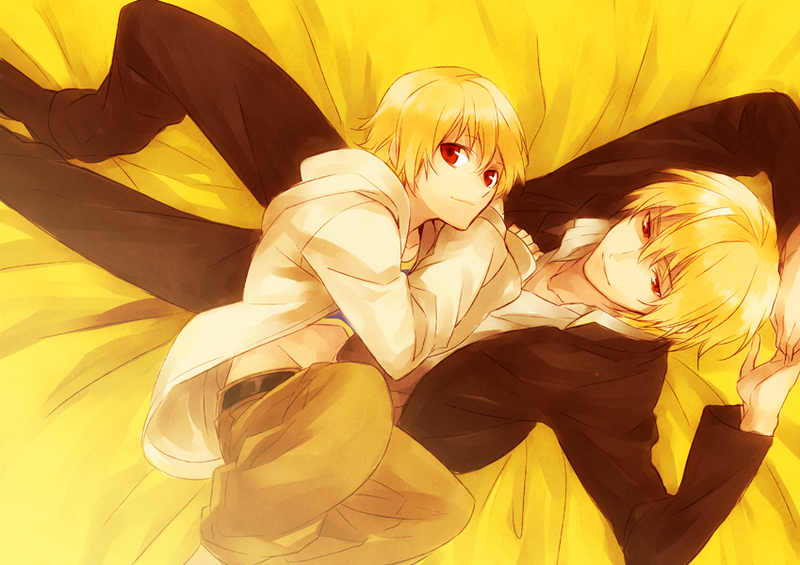 10,597 anime images in gallery. 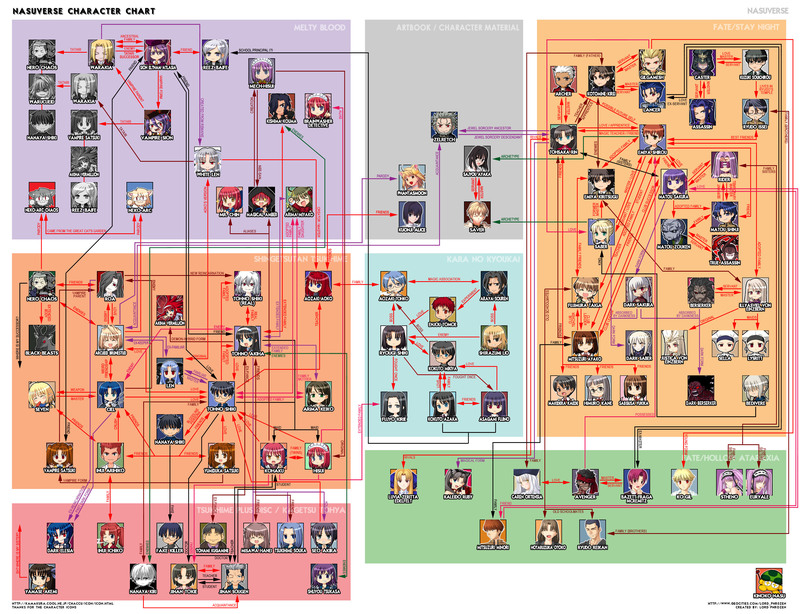 Tagged under TYPE-MOON, Series, Studio DEEN and Visual Novels. 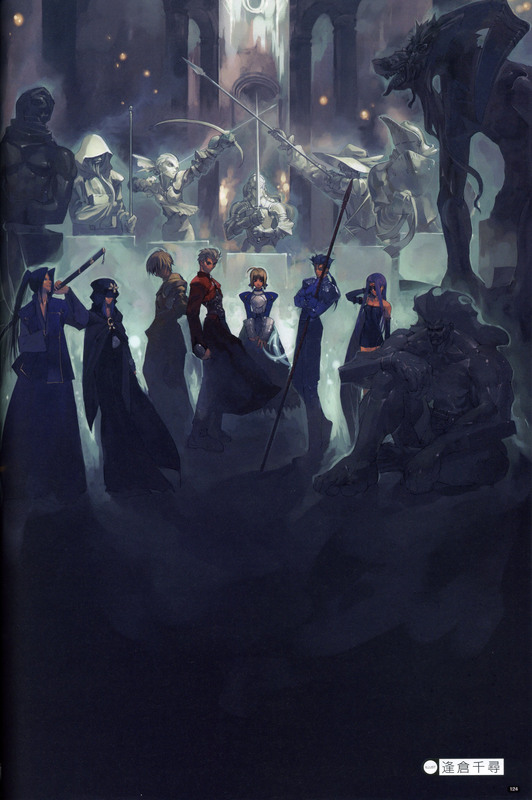 Fate/Stay Night is an action, supernatural and urban fantasy Japanese visual novel originally developed by Type Moon as an adult game for Windows. Kadowkawa Shoten published the PS2 and PSP Vita adaptations. 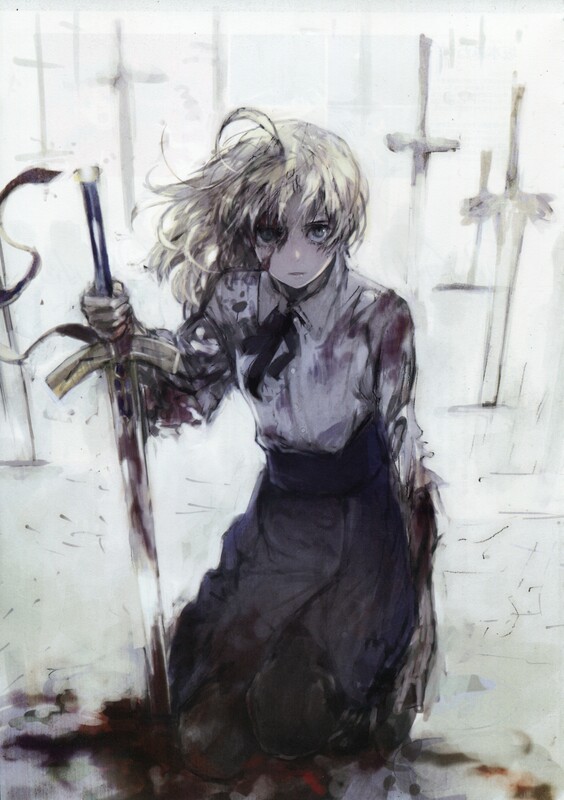 Last January 2006, Yuji Yamaguchi together with Studio DEEN released the anime adaptation of the same title. 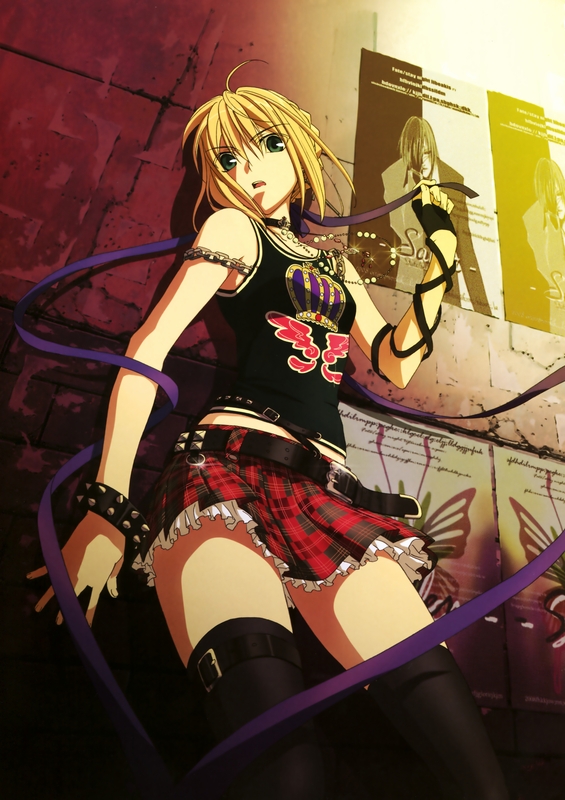 The anime premiered on the Anime Network and Animax. While the anime was being broadcasted, Datto Nishiwaki worked on the manga adaptation which got published in Kadokawa Shoten’s Shonen magazine since February of 2006. 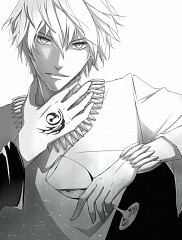 The manga ended with 20 volumes in its name on December 2012. 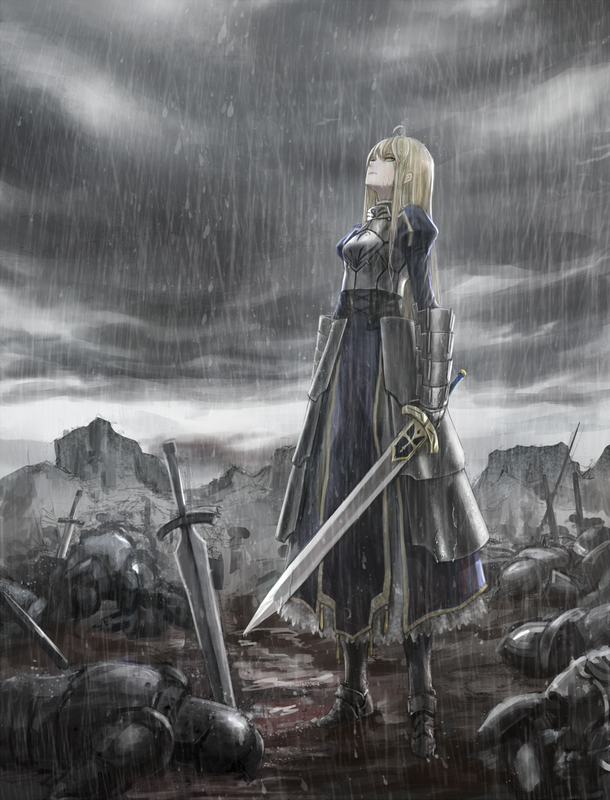 Last January 2010, Studio Deen released a 105-minute film entitled Fate/Stay Night: Unlimited Blade Works. After a favorable response from Fate/Stay Night, Ufotable Studios together with Takahiro Miura announced that they are working on a new anime television series linked to its predecessors entitled as Fate/Stay Night: Unlimited Blade Works and is scheduled to debut this coming October 4, 2014. 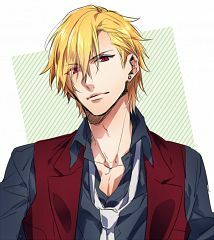 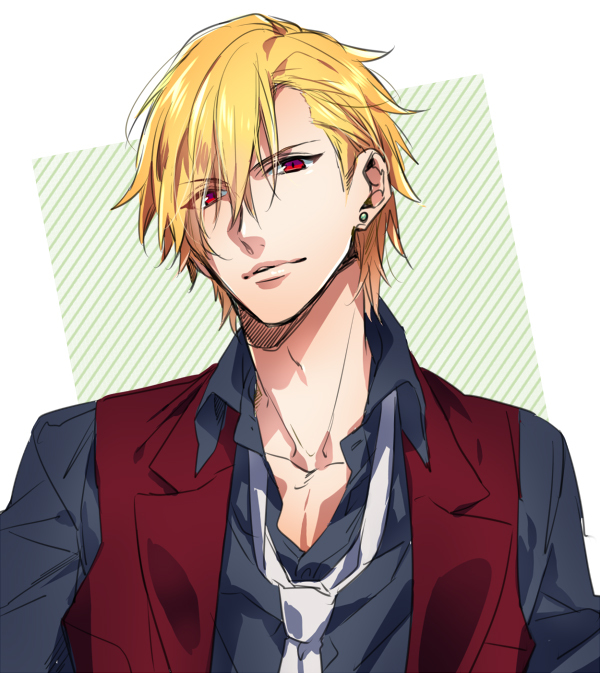 "The story revolves around a young man, Shiro Emiya, an amateur mechanic who goes to Homurahara Gakuen. 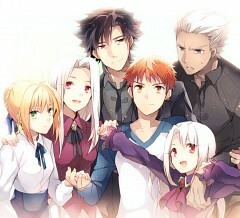 When he was young, Shirou lost his parent in a fire and was later adopted by Kiritsugu Emiya, who is actually a sorcerer with mysterious powers. 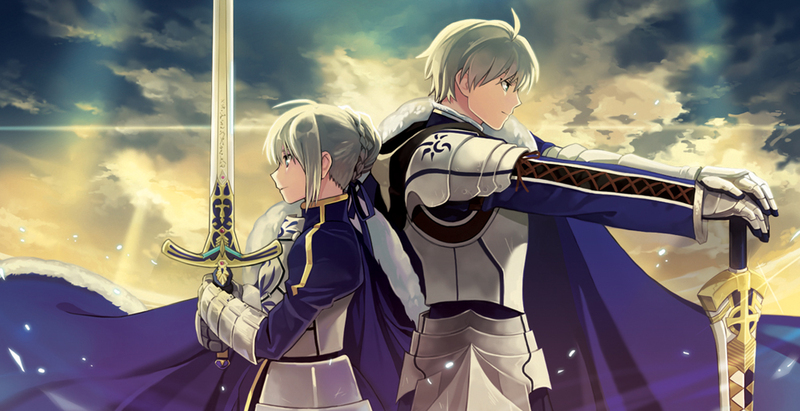 Growing up, Shirou learns that his foster father has yearned to becoming this so-called “Hero of Justice”, a guardian of mankind that would protect the weak and the innocent. Moved by his foster father’s conviction, Shirou decides to devote his life to becoming a hero of justice. 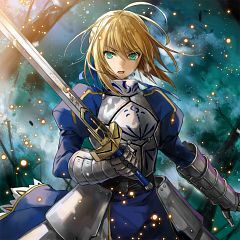 Little did he know that through the years, Fuyuki City has been the place where countless magicians compete against each other in a secret and violent war later known as the “Holy Grail War”. The Holy Grail War is a battle between seven magicians who each is allowed to summon a mythical hero, each gambling his or her own life to obtain the all-coveted Holy Grail, a legendary artifact said to grant any wish. 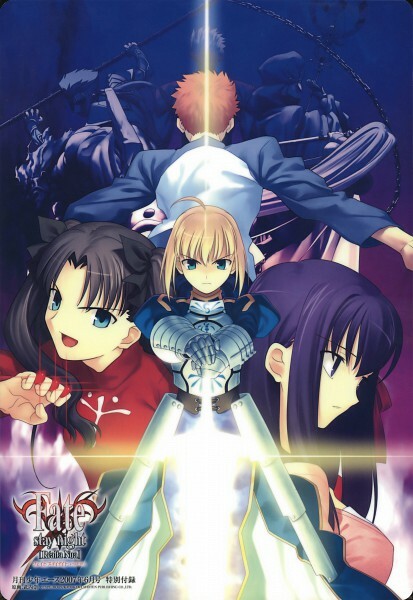 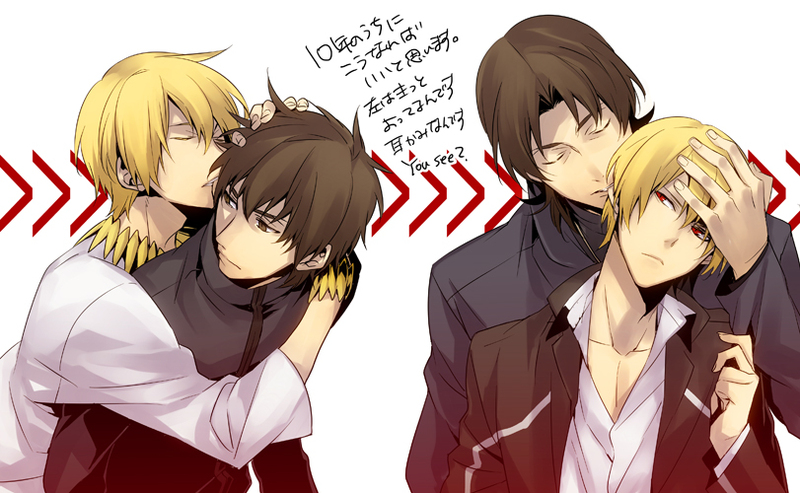 On one peculiar day after school, Shirou stumbles in a fight between two servants: Archer and Lancer. In order to prevent compromising the secrecy of the battle, Lancer attacks Shirou. 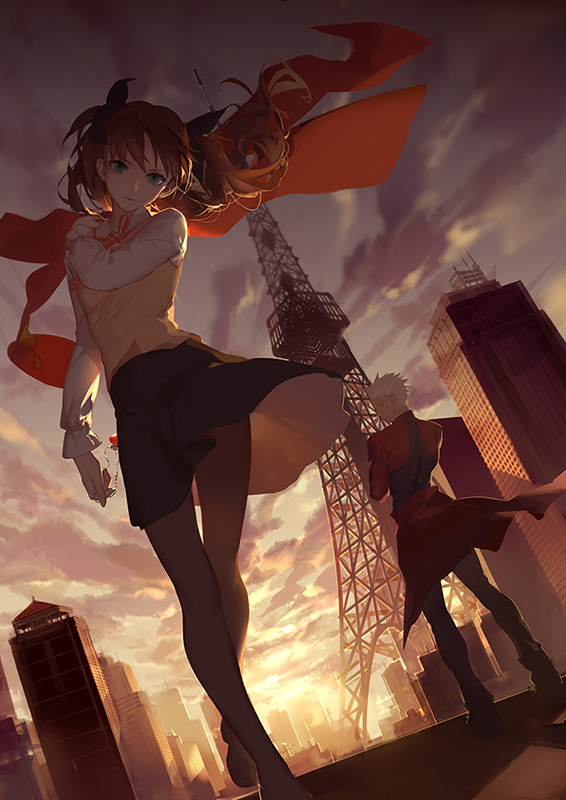 Shirou gets stuck down in the heart but is revived by Rin Tohsaka, Shirou’s classmate who turns out to be Archer’s master. 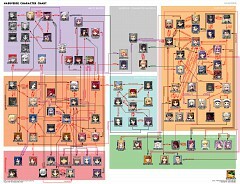 Shirou barely escapes with his life and returns to his home where he is followed by Lancer. Shirou tries to escape him and hides in a storage room. As Lancer is about to give him the final blow, a young woman in armor blocks Lancer’s attack and fends him off. 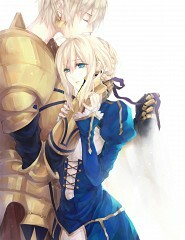 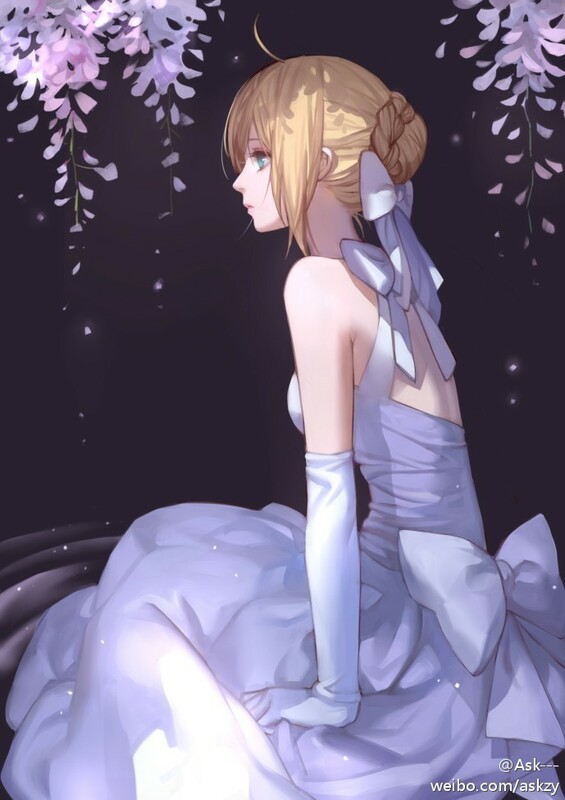 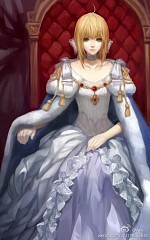 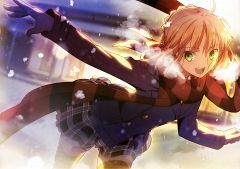 She introduces herself as Saber and calmly mutters the words: “I ask of you, are you my Master”."